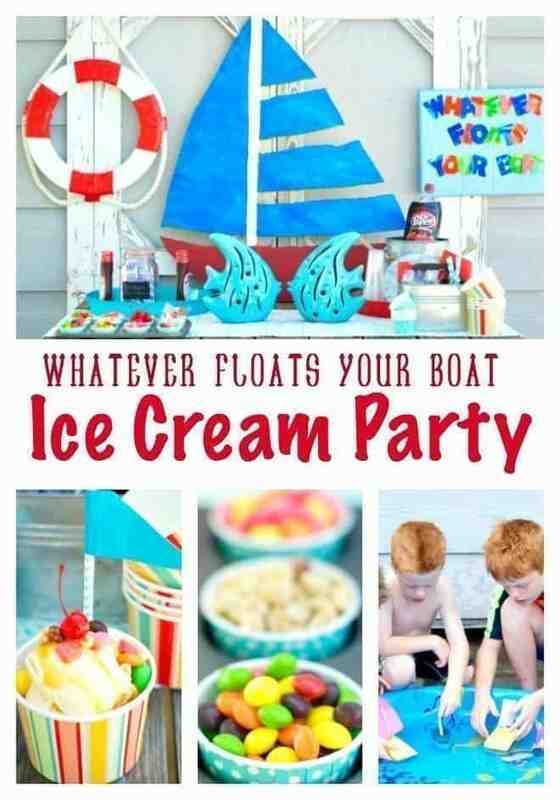 Welcome to the most laid-back, fun party of the summer – my Whatever Floats Your Boat Ice Cream Party. Had you rather have an ice cream sundae? Dr. Pepper® Cherry Float? SNICKERS® Ice Cream Cake? Or you can have all 3 – I’ll never tell! Remember, it’s whatever floats your boat! I’ll let you in on a little secret: Everyone is still talking about how good my SNICKERS® Ice Cream Cake was! The recipe is below. 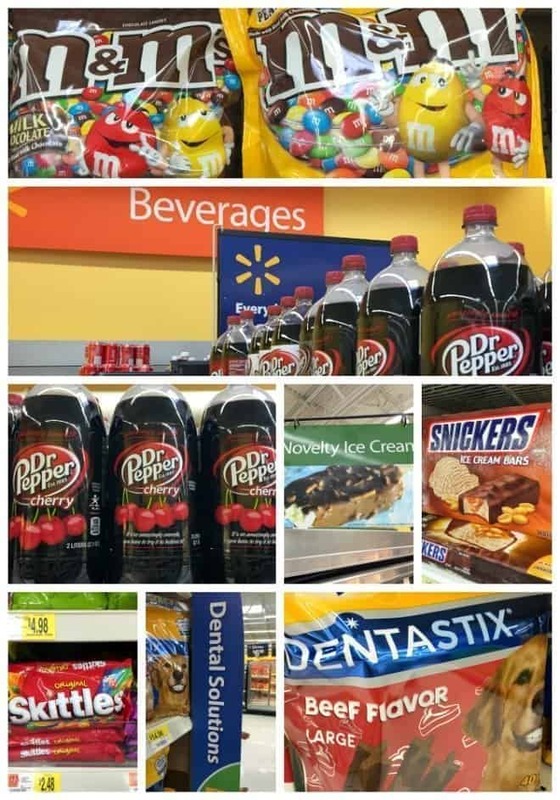 I headed to Walmart with my shopping list and Blippar app. The app is available from your Apple or Android store and you can scan your packages and receive exclusive content. That was easy! My rustic potting table is perfect for the ice cream buffet. My husband and I made it from pallets a couple of years ago and I placed it in front of my old shed that looks like a boathouse. I didn’t want to cover the weathered wood so I used a pretty table runner. The kissy face fish add just a touch of glam. Helpful Hint: Instead of a table runner, use a large beach towel! It goes perfectly with the theme. A sailboat to anchor (pun intended) the table and add some color is just what I need. My sweet son-in-law offered to make one out of foam board (you can buy it in large sheets from your local home improvement store). Thank you, Josh! He printed a simple sailboat pattern onto transparency paper and used an overhead projector to trace the sailboat onto the foam board. 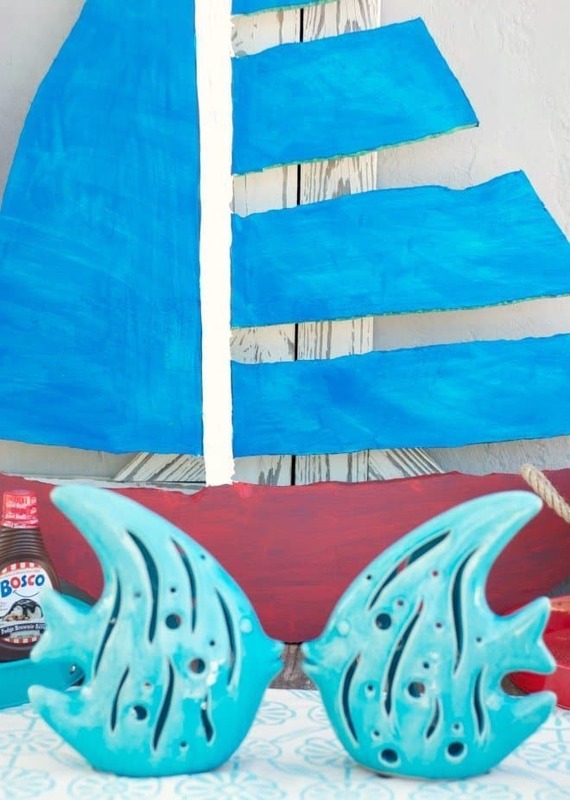 Use a heated knife to cut out the sailboat shape and paint it. It really doesn’t take long at all! If you don’t have a heated knife, an electric knife works well, too. 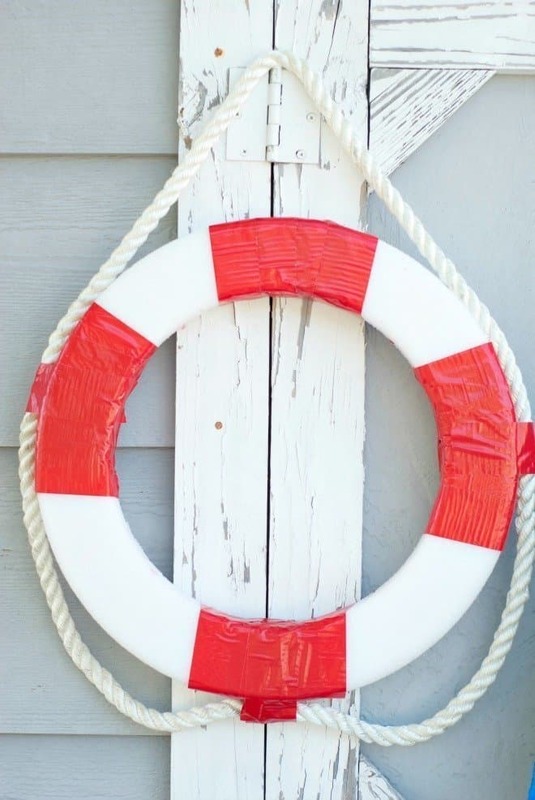 In addition to the sailboat, add a cute life ring using a white styrofoam wreath, red duct tape, and white rope. I found the instructions on Pinterest, changed it up a bit and was done in 10 minutes. I think it’s adorable! 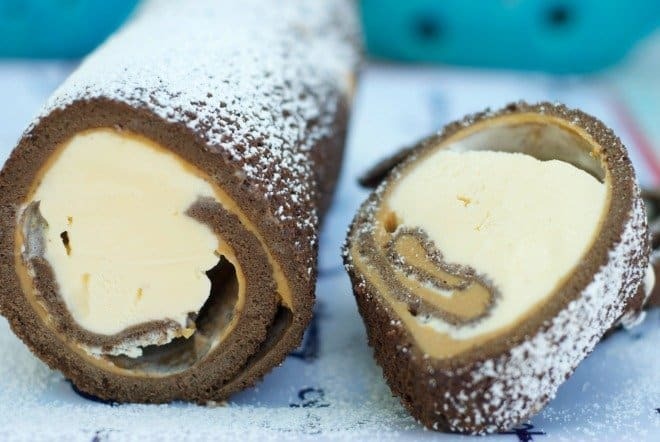 Mix up a simple chocolate cake batter, line a jelly roll pan with parchment paper and baked it for 5 minutes. Invert the cake onto a kitchen towel, rolled it up with the towel and let it cool completely. After cooling, unroll the cake, spread the peanut butter mixture, and add the softened ice cream. Then add the sliced SNICKERS® ice cream bars and rerolled the cake without the towel. Place it seam side down on a platter and dust powdered sugar over the top. Cracks in the Cake? No Problem! I had a couple of cracks, but the powdered sugar covered them and no one suspected a thing! Heat oven to 400°F. Spray 15-1/2x10-1/2x1-inch jelly-roll pan with nonstick cooking spray. Line with wax paper and spray again. Sift together flour, cocoa and baking powder. Beat eggs, sugar and vanilla in small bowl for 5 minutes. Fold in cocoa mixture and spread batter into prepared pan. Bake 5 to 7 minutes or until top springs back when touched lightly in center. Invert cake onto clean towel; remove wax paper. Roll up cake with towel from short side. Cool completely on wire rack. After cake is completely cooled, soften ice cream in the fridge for about 15 minutes. Mix peanut butter, honey and 1 tablespoon vanilla in small bowl. 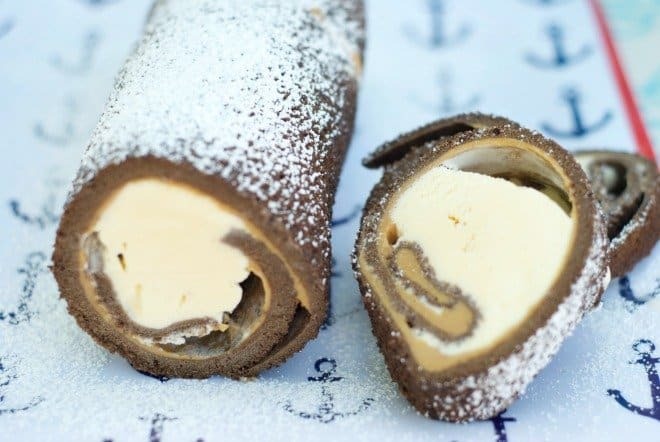 Unroll cake and spread with peanut butter mixture. Spread vanilla ice cream down the middle of cake. Slice SNICKERS® ice cream bars and place them over the vanilla ice cream. Reroll cake without the towel and place seam side down on a serving tray. Then I assembled all of the toppings and the party was good to go! 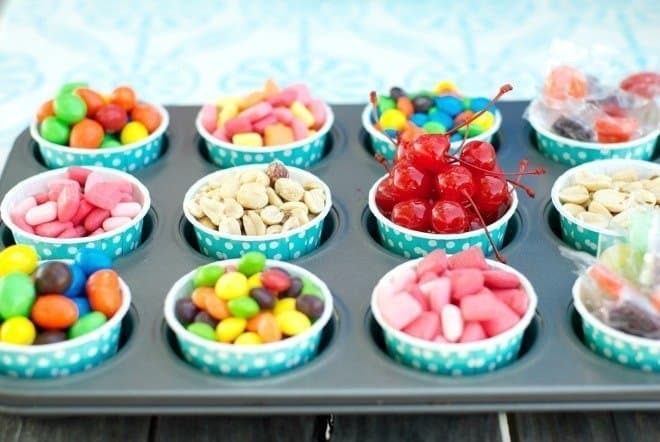 Helpful Hint: Use muffin tins to hold ice cream toppings! I added little baking cups for a pop of color and cleanup was a breeze! When hosting an ice cream party outside, be sure and leave the frozen treats (ice cream, bars, etc.) in the freezer until time to eat. The only way you can keep ice cream frozen outside on a hot day is to buy dry ice. 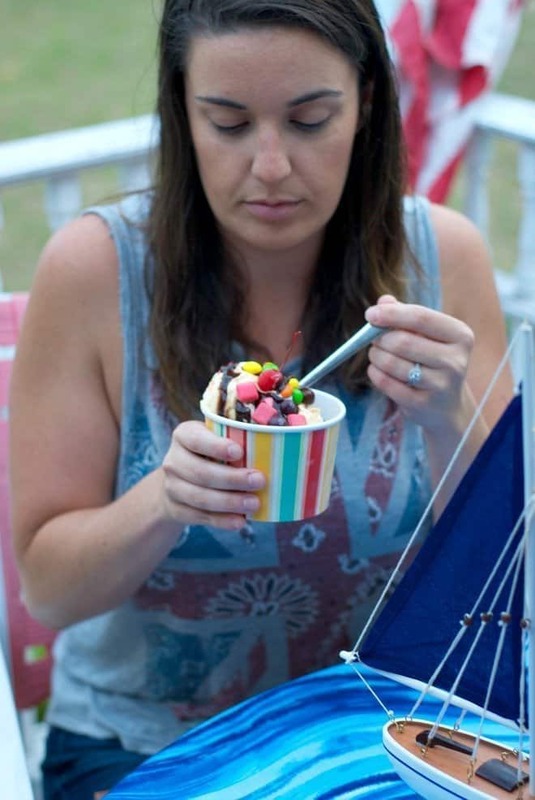 I didn’t want to use it around the kids, so I went ahead and scooped the ice cream into the bowls and had them ready and waiting in the freezer. I used a tray to whisk them outside just in the nick of time! 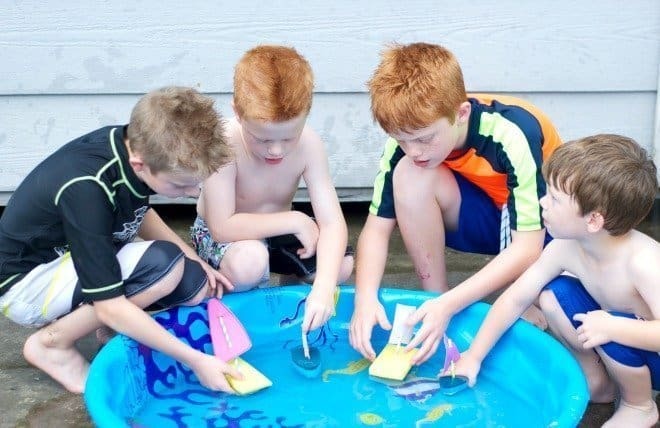 The boys had a blast racing their homemade boats. 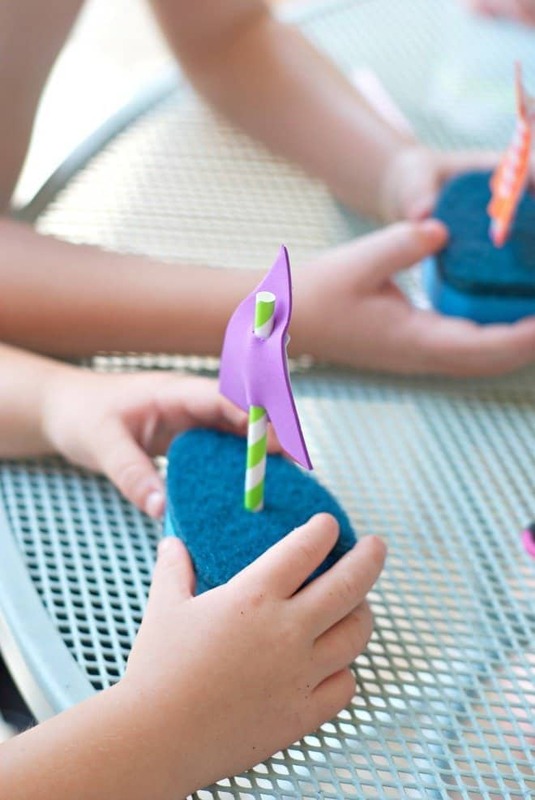 We made them using sponges, straws and foam sheets. Max had to get in on the action, too! He didn’t get to eat any of the people food, but he had special dog treats, including Pedigree Dentastix® to help keep his teeth healthy. The adults had a blast, too! I hope you enjoyed my easy DIY party! How do you make summer fun? 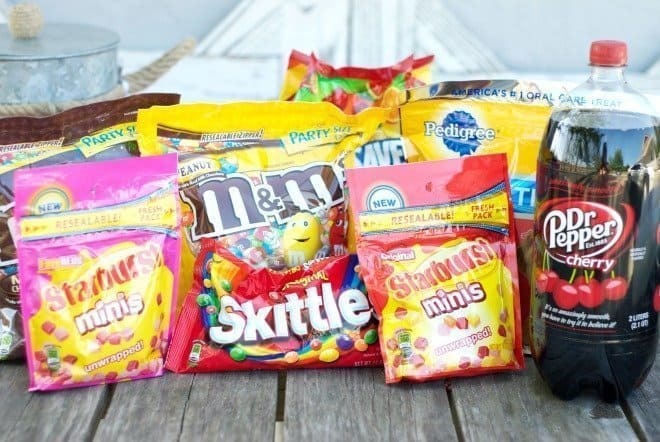 Click on my affiliate link below to find items to add to your Whatever Floats Your Boat party! If you purchase an item, I may receive a very small commission with no extra cost to you. You seriously have the BEST parties. I wish I lived closer so I could invite myself over to a few of them LOL. This is such a fun idea – I love it. Oh what a treat! I love the the boat that you son-in-law made and also the Styrofoam circle thingy. That rustic table in front of the shed along with twos fishes must have really added to the decor of the party!!! And that snickers cake – wow, Alli! Your family sure had fun with this one. 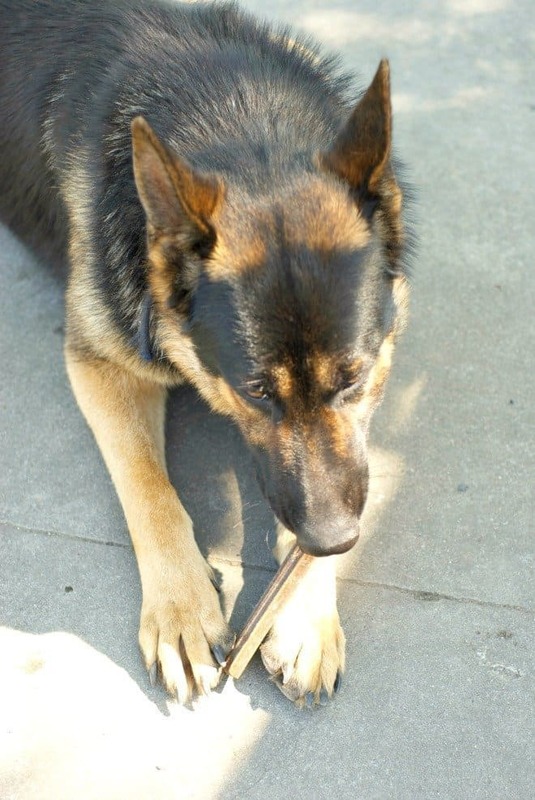 Love the kids with the dog treats. Best party EVAAAAHHH! I seriously can’t think of anything better than an ice cream bar. Yum! What a cute idea. I never would have thought to use a beach towel as a table runner. I love all of the stuff you picked out too. So cute. This is SO adorable and festive! 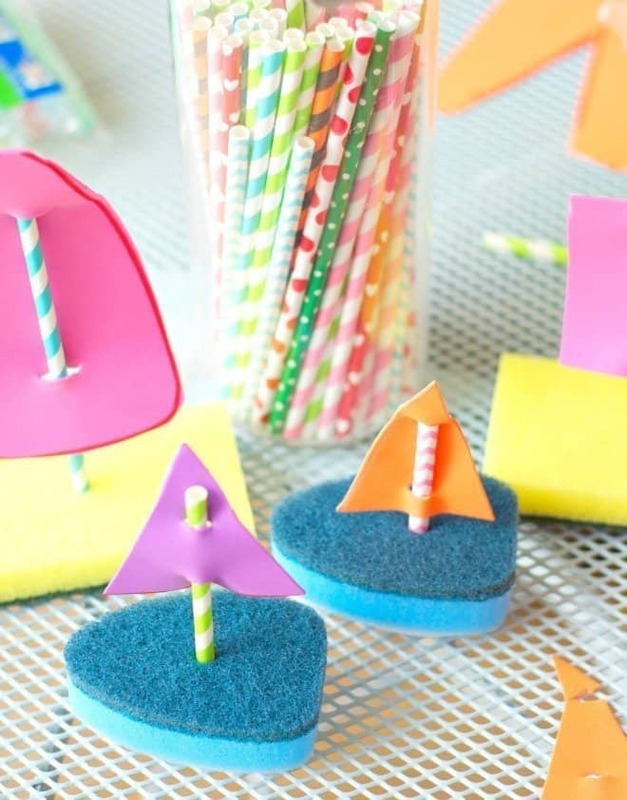 The little sponge boats are perfect. Everything looks so yummy and sweet! Happy summer! These pictures are great! That party looked like so much fun! I love this theme! This is such a cute idea! 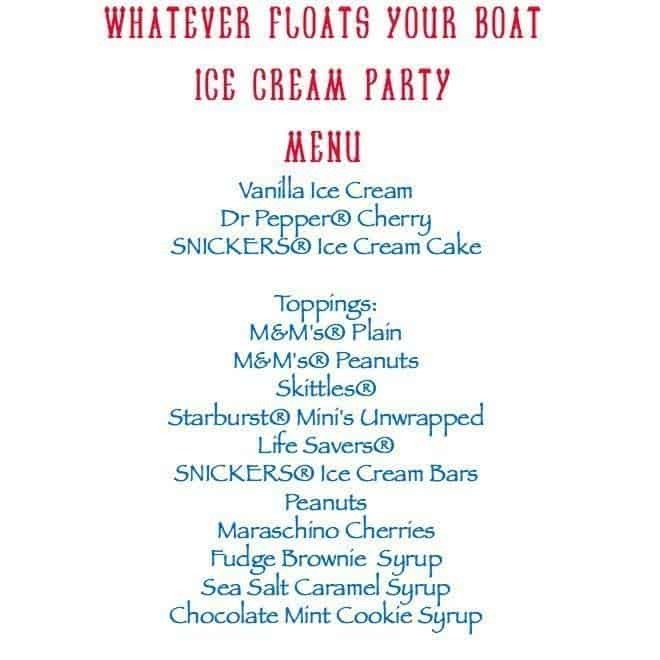 I totally love the concept of whatever floats your boat ice cream party,, it is just perfect. I would surely love to have my own! What a fun party! Love all the details you worked on for the theme. Greatest summer ever!!! That wreath s adorable and it was done so fast!! I like the idea of an ice cream party too. Any time, anywhere. 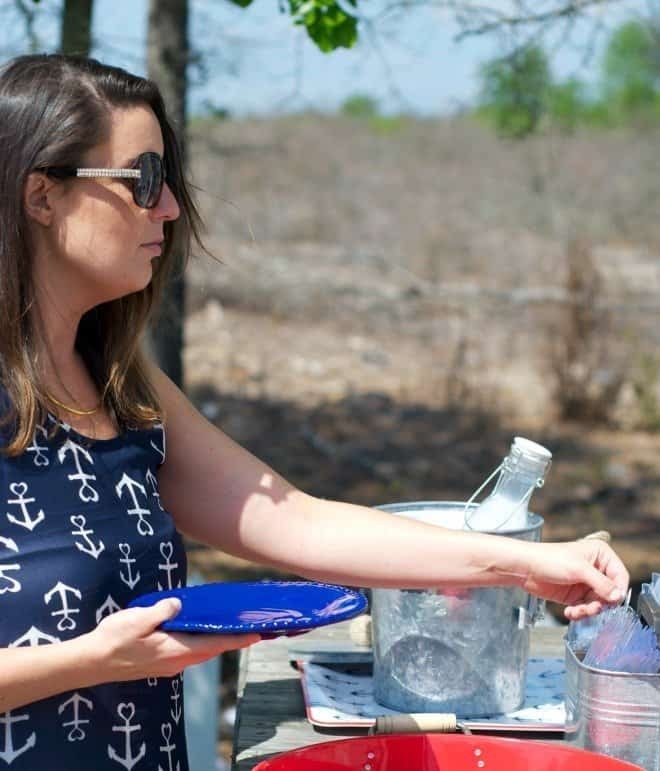 What a really cool summer party idea! I really want to have more parties at my house this year. I absolutely love this! 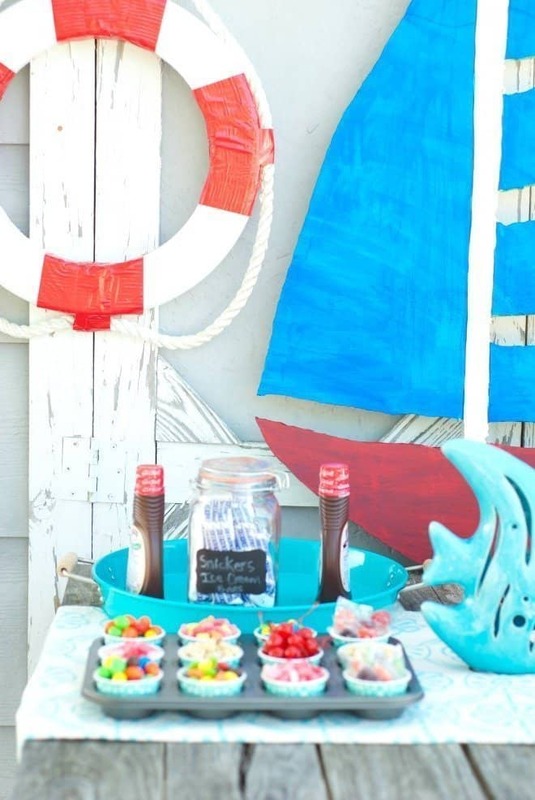 Everything from the theme to the decor to the way you set out the candy. What a great idea! Wow! You really know how to throw a party! How amazing is this! My kids would want this for every occasion! Seriously, best party! 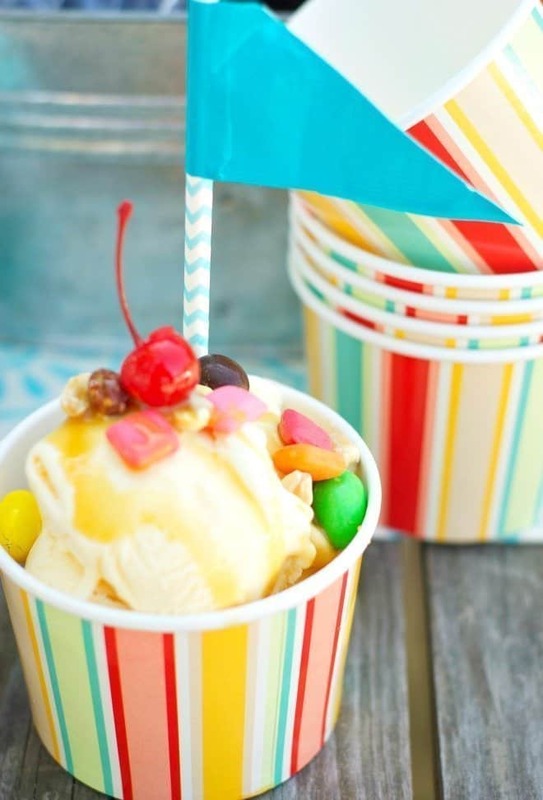 I love the theme of this super cute ice cream party! And that Snickers cake?! I totally want some right now!! Fun! That’s the best ice cream party ever. I’m with Robin. We should road trip sometime and invite ourselves to one of your social gatherings. They always look like so much fun. What colorful and lovely decorations! And the goodies were enticing. Who doesn’t want to have a party like that? Love it! Pretty sure I’d want to be invited to this kinda party. I love anything ice cream related. So fun! Wow! This looks like a lot of fun! I need to throw something like this for my little ones this summer, it would be a fun way for them to cool off on those hot summer days. Looks so much fun and was enjoyed by everyone including the fur baby! The cake loos so good! Omg what a cute party theme! I live on a lake so this would be awesome to do for the kiddos sometime this summer! Looks like a really fun get together for the kids and family! I really like the decorations you put together! Such a fun party! 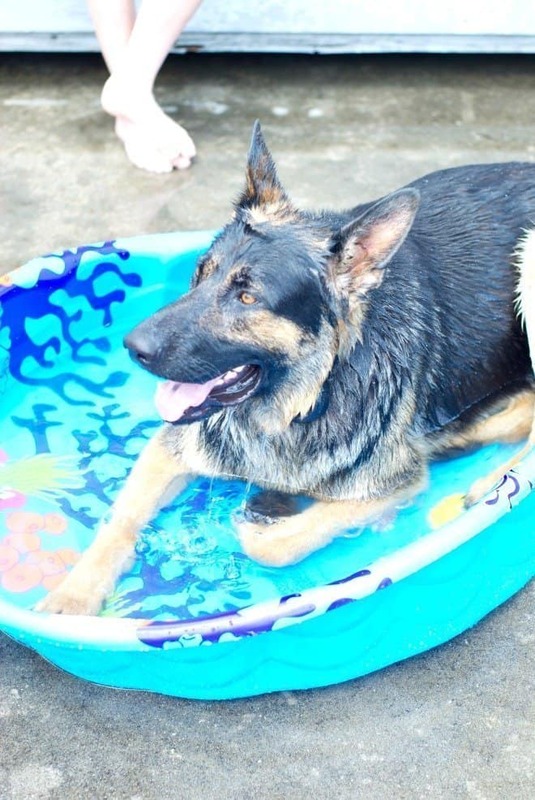 That pic of Max in the pool is my favorite! Good food girl! You know how to rock a party! This looks like a great theme for a party. Everyone loves ice cream. I love your decorations. This looks like such a cute party. The SNICKERS® Ice Cream Cake looks amazing. I will have to try making one. 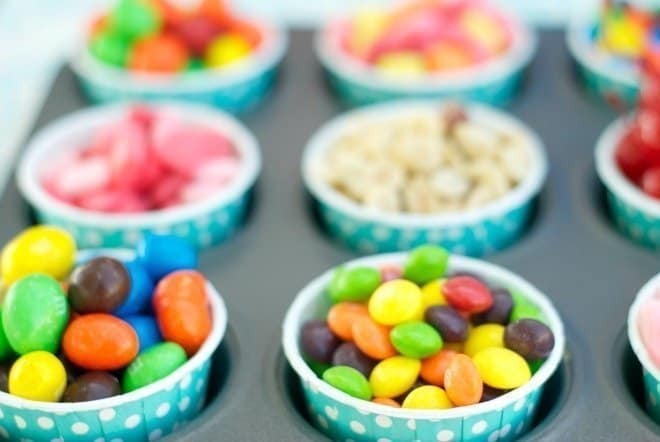 Your parties are seriously just the cutest! It looks like everyone was having such a wonderful time! Love that Snickers ice cream cake, and the sundae bar looks amazing! Love how you had it set up! I so love the set up of your Ice Cream party! It’s awesome. Can I borrow your idea? I would love to do the same here. Looks like a fun ice cream party. 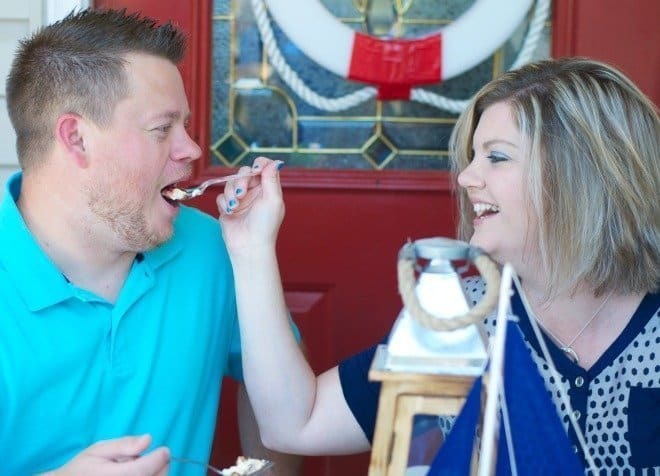 I’ll have to try that ice cream cake. I’m sure my ice cream loving family would love eating that on a hot summer day. What a fantastic idea. I absolutely love the decor. The kissing fish, the boats, everything is so cute. 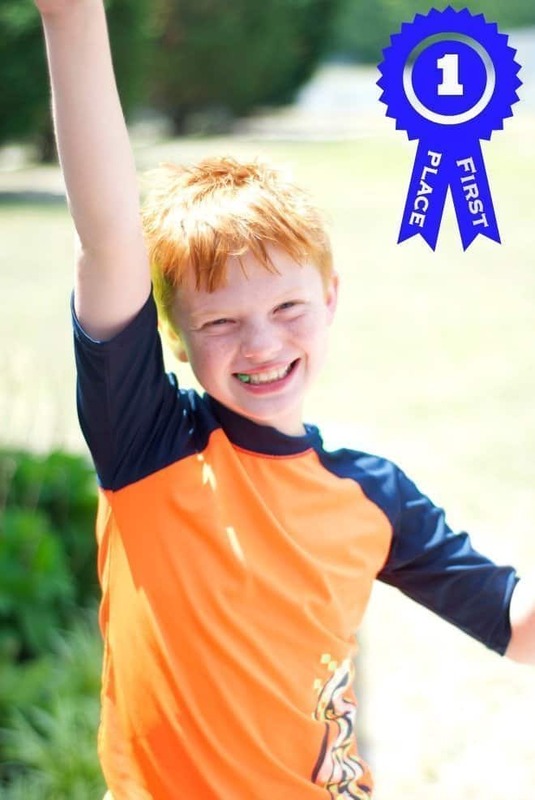 Erica Brooks recently posted…How To Choose A Bicycle For A Child?